Draft: 2008, Chicago Cubs, 1st rd. Married, wife's name is Jamie...Led Texas Christian University in wins (9), saves (9), strikeouts (80), and relief appearances (30) in his only season with the Horned Frogs in 2008...Pitched for Angelina College (TX) in 2006 and 2007...Graduated from Conroe (TX) High School in 2005...Was the 19th overall player selected in the first round of the 2008 First-Year Player Draft by the Chicago Cubs...Had been previously drafted by the Cubs in the 29th round in 2007, by Colorado in the 18th round in 2006, and by Atlanta in the 20th round in 2005...The Cashner Family Foundation, Pitching for a Cause, provides funding to hospitals and communities on behalf of children with medical issues. Made his Orioles debut on 3/31 vs. MIN...Earned his first win as an Oriole on 4/5 at NYY, allowing one run over 6.0 innings with three walks and five strikeouts... Made 28 starts during the season; his third-straight season with at least 28 appearances... Ranked second on the Orioles in innings pitched (153.0), tied for second in games started (28), and fourth in strikeouts (99)... Received three-or-fewer runs of support in 25 of his 28 starts during the season; his 3.12 run support average ranked as the second-lowest in the majors... Threw 6.0-or-more innings in 16 of his 28 starts... Issued a team-high 65 walks; ranked eighth-most in the AL... Surrendered a career-high 25 home runs...Spent two stints on the disabled list, once for a lower back strain (6/12-20), and once for a neck strain (7/11-22). Combined to go 5-11, 5.25 (77 ER/132.0 IP) in 28 games (27 starts) between San Diego and Miami…was the highest ERA of ML career…tied for 8th in the NL in double plays induced (career high 19) with 1.30 GIDP/9.0 IP ranking 6th best…had 11 GIDP after the All-Star break, T6th most in the NL…recorded 7.64 strikeouts/9.0 IP, his 2nd-highest since becoming a starter in 2013 (8.04 in 2015). Set career highs in several categories, including games started (31), innings pitched (184.2) and strikeouts (165)...Led the Majors with 22 unearned runs allowed, six more than the next highest total (Mark Buehrle, 16)…his unearned runs total were the sixth-most in franchise history and the most since Bobby Jones allowed 26 unearned runs in 2001 (tied with Steve Arlin in 1971 for the highest total in franchise history)....Posted a streak of 21 consecutive home starts allowing two-or-fewer earned runs from 6/11/13 - 4/29/15, a Major League record…his streak surpassed the previous record of 20, held by Orel Hershiser at Dodger Stadium from 4/26/85 - 4/29/86 (Jose Fernandez also posted a 20-game streak at Marlins Park from 4/13/13 - 5/4/15)....Posted a combined 2.43 ERA (54 ER, 200.1 IP) at home since 6/23/13, allowing two-or-fewer earned runs 24 times and threeor-fewer 27 times…his home ERA in that time ranks sixth-best among Major League starters with at least 150.0 IP in their home ballpark, trailing only Clayton Kershaw (1.66), Jacob deGrom (1.87), Zack Greinke (1.99), Jake Arrieta (2.01) and Johnny Cueto (2.19)....Had a 3.12 run support average in 2015 (64 runs of support in 184.2 IP), the second-lowest average in Major League Baseball behind only Shelby Miller (2.54) for Atlanta and the ninth-lowest mark in Padres history since full play-by-play data started being kept in 1974 (min 150.0 IP)…the Padres scored Cashner one-or-fewer runs of support 18 times in his 31 starts and two-or-fewer 19 times (runs scored while he was in the game). • In games when the Padres scored two-or-more runs in support of Cashner, he posted a 6-3 record while the team went 8-5…in games when he got three-or-more runs in support, Cashner went 6-2 and the team went 8-4....Set a career-high with 12 strikeouts on 6/1 vs. NYM despite pitching just 4.2 innings…dating back to 1914, Cashner was one of two pitchers to ever strikeout 12-or-more batters in an outing of less than 5.0 innings pitched, joiningAlex Cobb, who struck out 13 in 4.2 innings pitched for Tampa Bay against the Padres on 5/10/13 at Tropicana Field...Cashner started the season 2-7 with a 3.00 ERA (21 ER, 63.0 IP) over his first 10 starts of the season (through 5/30)…dating back to the 1940 season, Cashner was one of eight Major League pitchers to have seven-or-more losses with an ERA of 3.00-or-better through his first 10 starts of a season and the first since Mets starter Jim McAndrew started the 1968 season 3-7 with a 2.17 ERA....Posted a 1-3 record with a 2.25 ERA (8 ER, 32.0 IP) and 32 strikeouts against 11 walks in five starts at Petco Park against divisional opponents…among pitchers with at least five home starts against divisional opponents, Cashner's 2.25 ERA ranked ninth-best in the National League (STATS, Inc)....Averaged 94.8 mph with his fastball this season, the fifth-best average of any National League starter, trailing only Matt Harvey (95.9) for NYM, Gerrit Cole (95.6) for PIT, Carlos Martinez (95.3) for STL and Jacob deGrom (95.0) for NYM....In his start on 4/29 vs. HOU, struck out the first six batters he faced, a new Padres record…his mark surpassed the previous record of four, done several times, last on 5/31/09 by Chad Gaudin vs. COL.
Made 19 starts total, missing time with a pair of stints on the 15-day DL…went 5-7 with a 2.55 ERA (35 ER, 123.1 IP) on the year...First DL stint from 5/17-6/7 with right elbow soreness (20 games) and the second from 6/23-8/23 with right shoulder soreness (51 games)...Was the first starting pitcher in Padres franchise history and the first Major Leaguer since Joe Magrane-STL in 1988 to post an ERA of 2.55-or-better while having a winning percentage of .417-or-lower...His 2.55 ERA was the seventh-lowest in the National League among pitchers with 100.0-or-more innings…under that same criteria, his ERA was the lowest since Jake Peavy posted a 2.54 ERA (63 ER, 223.1 IP) during his Cy Young Award winning season of 2007...Made his first career Opening Night start on 3/30 vs. LAD… with just 32 career starts entering Opening Night, Cashner had the second-fewest career starts by an Opening Night pitcher in franchise history, behind only Pat Dobson, who had just 20 career starts before making the Opening Day start for the Padres in 1970...Ended the season with a streak of allowing two-or-fewer earned runs in 18 consecutive starts at Petco Park from 6/11/13 through the final home game of 2014, a franchise record...surpassed the previous record of 14 games by Randy Jones from 9/2/77 - 6/24/78...as of the end of the 2014 season, the streak is the second-longest active streak in Major League Baseball, trailing only Miami's Jose Fernandez who has done so in 20 consecutive games at Marlins Park...Threw his first of two complete-game shutouts on 4/11 vs. DET, allowing one hit with a career-high 11 strikeouts… having also thrown a complete-game, one-hit shutout on 9/16/13 at PIT, was the first Major League pitcher since Toronto's Dave Stieb in 1988-89 to record two one-hit, complete-game shutouts in a span of five starts (STATS, Inc.)...Threw his second complete game shutout of the season and the third of his career on 9/15 vs. PHI...Having allowed just two hits in his CG SHO on 9/15 and one hit in each of his prior two shutouts, Cashner became the sixth Major League pitcher since 1969 to throw three-or-more complete game shutouts with two-or-fewer hits allowed within his first 50 career starts and the first since Orel Hershiser threw six from 7/14/84 - 7/23/85...Threw just 92 pitches in his CG SHO on 9/15, tied for the seventh-fewest pitches in a nine-inning, complete game effort in Padres franchise history, and the lowest total since Clay Hensley's 91 pitches on 5/14/06…his pitch total tied for the second-fewest in franchise history during a CG SHO, behind only Hensley's 91 pitches on 5/14/06...On 4/24 at WSH, came in to play LF in the 11th inning, his first career defensive appearance somewhere other than pitcher...Recorded his first career triple on 9/20 vs. SF off Yusmeiro Petit…having also tallied a bunt single and a walk that night, was the first Padres pitcher to reach base three-or-more times in a single game since Jon Garland did so on 9/14/10...Named National League Player of the Week for the week of 9/15 after he pitched to a 2-0 record with a 1.06 ERA (2 ER, 17.0 IP) with 14 strikeouts against two walks while holding opponents to a .109 average (6-for-55) over two starts. Unanimously voted Clyde McCullough Pitcher of the Year by the San Diego chapter of the Baseball Writers Association of America in his first full Major League season...Set career-high in wins (10), starts (26), complete games (1), innings (175.0) and strikeouts (128)...Led the Padres in ERA, ranked second in wins (10), innings (175.0), strikeouts (128), complete games (1) and third in starts (26)...Began the season in the bullpen, posting a 3.86 ERA (4 ER, 9.1 IP) with nine strikeouts in five relief appearances before moving to the rotation for good on April 20 at San Francisco...Was 10-9 with a 3.04 ERA (56 ER, 165.2 IP) with 119 strikeouts as a starter, including 19 quality starts...His 3.09 ERA ranked 11th in the National League and he ranked 12th in opponents batting average (.233)...His 3.09 ERA was the fourth-lowest among qualified Padres starters since the club moved into Petco Park in 2004, only trailing Jake Peavy (2.88 in 2005 and 2.54 in 2007) and Mat Latos (2.92 in 2010)...Was 5-4 with a 1.95 ERA (17 ER, 78.1 IP) with 52 strikeouts at Petco Park, the third lowest ERA by a Padres starter at the home park behind just Chris Young (1.69 in 2007) and Jake Peavy (1.74 in 2008)...Tossed 19th individual one-hitter in Padres history, the 27th overall one-hitter for the 45-year-old franchise, on September 16 at the Pirates…performance was named the Head & Shoulders Pitching Performance of the Month for September, as voted on by fans at MLB.com...His September 16 effort marked the first pitcher in baseball to face the minimum 27 batters in a nine-inning effort and not record a no-hitter since Roy Oswalt tossed a three-hit shutout against the Pirates for Houston on September 11, 2008...Is the first Padres pitcher in history to face just 27 men in a nine-inning complete game...he is the 14th Padres pitcher to record a one-hit shutout and just the third to do it without issuing a walk, joining Jimmy Jones (September 21, 1986 at Houston) and Mat Latos (May 13, 2010 at San Francisco)...According to Elias, on September 16, he retired the first 18 batters he faced, becoming the third Padres pitcher in the last 27 years to retire the first 18 or more batters, joining Kevin Brown (September 10, 1998 vs. Dodgers, perfect through 18 batters) and Chris Young (September 7, 2008 at Milwaukee, perfect through 23 batters)...Posted a 2.14 ERA (18 ER, 75.2 IP) in the second half, the sixth-best ERA in the National League and tied for seventh in the Majors…his .194 opponent average ranked sixth in the Majors (min. 50 IP)...Was 2-1 with a 0.76 ERA (2 ER, 23.2 IP) with 21 strikeouts in three September starts, tied for lowest September ERA in the Majors (min. 20 IP) with Seattle's Hisashi Iwakuma...was the second-best ERA in any month by a Padres starter who made at least three starts (Dave Dravecky, April 1986, 0.75 ERA in five starts)...Limited right-handed hitters to a .217 (72-for-332) batting average, 13th-best in the National League...Set Padres record for most assists by a pitcher in a nine-inning game with seven on June 23 against the Dodgers...Posted a 1.70 ERA (12 ER, 63.2 IP) with 50 strikeouts from the start of August through the end of the season, the second-best ERA in the Majors (min. 60.0 IP) during that stretch to the Dodgers' Zack Greinke (1.49)...Hit his first career home run on July 27 against Arizona's Josh Collmenter, a solo shot in the sixth inning at Chase Field...Did not allow more than three earned runs in his last 12 starts and 22 of his 26 starts overall...Finished the season by not allowing an earned run over his final 16.0 innings pitched over his last two starts, and allowed just three earned runs over his final five starts from August 25 - September 22, going 2-1 with a 0.72 ERA (3 ER, 37.2 IP) in that stretch...Collected a hit, stolen base and a run scored on April 26 against San Francisco...he's the first pitcher to hit that trifecta in his rst win as a starter since Bart Johnson had a hit, stolen base and run scored in his first win in the Major Leagues for the White Sox on Sept. 16, 1969 (credit: Elias Sports Bureau)...only four Padres pitchers have collected a run, hit and stolen base in a game: Cashner joins Greg Maddux (July 23, 2007 vs. COL), Adam Eaton (June 6, 2004 vs. MIL & July 21, 2000 vs. COL) and Doug Brocail (July 11, 1993 vs. MON)...His .231 average at the plate was the second-best among qualifying pitchers in the Majors to the Dodgers' Zack Greinke (.328)...Recorded four bunt singles, the most in the Majors among pitchers since Omar Daal recorded five in 1999 for Arizona...was the second-most ever by a Padres pitcher, trailing Kevin Brown's five in 1998, while tying Brown among all Padres pitchers with six infield hits. In his first season with the Padres, began the year in the bullpen, making 27 relief appearances, before transitioning into the rotation and making five starts total for San Diego...season cut short due to a stint on the disabled list. Over his first 27 outings, all in relief, from 4/6-6/5, went 3-3 witha 3.81 ERA(11 ER/26.0 IP) and 29 strikeouts against 16 walks.Made his first start for the Padres on 6/9 at MIL, working just 2.1innings...optioned to Double-A San Antonio following his firststart...went 2-0 with a 1.88 ERA (3ER/14.1 IP) and 22 strikeoutsagainst just three walks and 10 hits allowed in three starts forSan Antonio.Recalled on 6/28 to make his first full-fledged start that day atHOU...took a no-hitter into the seventh inning before allowingthe Astros first hit with one out in the seventh inning...finished with a career-high nine strikeouts that day over 6.1innings pitched.Made his next appearance with a start on 7/3 at ARI, leaving the game prior to the third inning...placed on the 15-day DL the following day 7/4 with a strained right lat muscle.Made three rehab starts for Triple-A Tucson from 8/21-31, posting a 3.00 ERA (3ER/9.0 IP), before being reinstatedfrom the DL on 9/1.Made two starts in September before making his final appearance with a relief outing on the final day of the season,10/3 at MIL.Over his first four starts, posted a 2.87 ERA(5 ER/15.2 IP) with 21 strikeouts against just three walks and nine hitsallowed, before allowing a career-high tying six runs in his final start of the season on 9/14 vs. COL.Overall on the season,held left-handed hitters to a. 197(15-for-76)average on the season for SD while right-handershit at a .281 (27-for-96) mark off him. 2011: Missed the majority of the season after suffering a rotator cuff strain in his right shoulder...placed on the 15-day DL 4/8 (retro to 4/6) and transferred to the 60-day DL 5/29 ... Made one appearance prior to injury, his first career start ... Reinsted from the DL on 9/5 and worked six relief outings over the last month of the season, tossing scoreless ball in five of his appearances ... In his 10.2 innings on the season, he allowed just three hits while striking out eight. After opening the year with Double-A Tennessee, Andrew made his big league debut in his third season of pro ball, May 31 inPittsburgh ... made 53 relief outings for Chicago, posting a 4.80 ERA (29 ER/54.1 IP) with a 2-6 ledger. ... Held the opponent scoreless in 36 of his 53 major league appearances,including 21 of his last 28 outings. ... Finished the season strong, posting a 1.40 ERA (3 ER/19.1 IP) in 18games from August 23-October 1, holding opponents to a .203 battingaverage and walking just eight compared to 21 strikeouts. ... Stranded 21 of his 27 inherited runners (77.8-percent). ... Had a 2.41 ERA (5 ER/18.2 IP) in 16 appearances before the All-StarBreak compared to a 6.06 ERA (24 ER/35.2 IP) after the Mid-SummerClassic. ... Selected from Triple-A Iowa, May 31, and made his debut that day inPittsburgh, retiring Ronny Cedeno to end the eighth inning. ... Began his major league career with an 8.1-scoreless innings streak, May31-June 20. ... Tagged with the loss in three-straight outings, June 26-30 ... owned a4.91 ERA (2 ER/3.2 IP) during the skid. ... Logged a 1.69 ERA (2 ER/10.2 IP) in 10 outings, July 7-26. ... Earned his first career win, July 20 vs. Houston, tossing 2.0-scorelessinnings of relief. ... Allowed six runs in consecutive appearances, July 27 in Houston and July30 in Colorado, raising his season ERA from 2.42 to 6.26. ... Recorded six holds and a win in an eight-game span, August 25-September 11 ... posted a 2.45 ERA (2 ER/7.1 IP) during the run. ... Combined to go 6-1 with a 2.05 ERA (13 ER/57.0 IP) in 11 games (ninestarts) between Tennessee and Iowa ... in 57.0 innings, struck out 59batters and walked 15 while limiting foes to a .193 batting average. ... Earned Pacific Coast League Pitcher of the Week honors for May 17-23after going 2-0 with a 0.69 ERA (1 ER/13.0 IP) in two startsduring that span. Andrew went 3-4 with a 2.60 ERA (29 ER/100.1 IP) between Single-A Daytona and Double-A Tennessee ... surrendered justone home run in 100.1 innings of work...Opened the season on the disabled list with a left oblique strain ... wasshelved April 9-25...Posted a 1.50 ERA (7 ER/42.0 IP) with no record in 12 starts withDaytona...While with Daytona, held left-handed hitters to a .157 batting average(11-for-70)...Garnered a 1.11 ERA (3 ER/24.1 IP) in seven road contests with theCubs...Boasted a 0.66 ERA (1 ER/13.2 IP) during the day compared to a 1.91ERA (6 ER/28.1 IP) at night...In five June contests, owned a monthly-best 0.93 ERA (2 ER/19.1 IP)with 14 strikeouts ... held the opponent scoreless in four of those games...Rode a season-high 13.0-inning scoreless streak, June 16-July 4,between Daytona and Tennessee...Was recalled to Double-A Tennessee, June 30, where he remained for therest of the season...Went 3-4 with a 3.39 ERA (22 ER/58.1 IP) in 12 starts with theSmokies...Opponents went 4-for-25 (.160) with runners in scoring position and twoouts against him...Hit safely in five-straight starts, July 4-August 3 ... went 5-for-9 (.556)during the run. Compiled a 1-2 mark with a 5.85 ERA (13 ER/20.0 IP) in eight games (six starts) with Rookie-League Mesa, Single-A Boise andSingle-A Daytona...Made his professional debut July 24 with Mesa, allowing one unearnedrun, while fanning two in 1.0 inning of work...Selected by Single-A Boise July 27, going 1-1 with a 4.96 ERA(9 ER/16.1 IP) in six appearances (four starts) with the Hawks...Posted no record with a 4.22 ERA (5 ER/10.2 IP) in four starts with Boisecompared to a 1-1 mark and a 6.35 ERA (4 ER/5.2 IP) in two reliefappearances...Earned his first professional win in August 19's 16-9 victory overVancouver ... surrendered two unearned runs on two walks and five hits,while fanning two in 2.2 innings of relief...Struck out a season-high five August 24 at Yakima...Made one start for Daytona after his promotion August 28 ... allowed fourearned runs, four hits and four walks, while fanning one in 2.2 inningspitched August 29 at Jupiter. July 22, 2018 Baltimore Orioles activated RHP Andrew Cashner from the 10-day injured list. July 11, 2018 Baltimore Orioles placed RHP Andrew Cashner on the 10-day disabled list. Neck strain. June 20, 2018 Baltimore Orioles activated RHP Andrew Cashner from the 10-day disabled list. June 12, 2018 Baltimore Orioles placed RHP Andrew Cashner on the 10-day disabled list retroactive to June 9, 2018. Lower back strain. February 15, 2018 Baltimore Orioles signed free agent RHP Andrew Cashner. November 2, 2017 RHP Andrew Cashner elected free agency. June 29, 2017 Texas Rangers activated RHP Andrew Cashner from the 10-day disabled list. June 17, 2017 Texas Rangers placed RHP Andrew Cashner on the 10-day disabled list retroactive to June 15, 2017. Left oblique strain. April 15, 2017 Texas Rangers activated RHP Andrew Cashner from the 10-day disabled list. April 2, 2017 Texas Rangers placed RHP Andrew Cashner on the 10-day disabled list retroactive to April 1, 2017. Right biceps soreness. November 21, 2016 Texas Rangers signed free agent RHP Andrew Cashner. November 3, 2016 RHP Andrew Cashner elected free agency. July 30, 2016 Miami Marlins activated RHP Andrew Cashner. July 29, 2016 San Diego Padres traded Andrew Cashner, Colin Rea, RHP Tayron Guerrero and cash to Miami Marlins for RHP Jarred Cosart, RHP Carter Capps, RHP Luis Castillo and 1B Josh Naylor. July 3, 2016 San Diego Padres activated RHP Andrew Cashner from the 15-day disabled list. June 28, 2016 San Diego Padres sent RHP Andrew Cashner on a rehab assignment to Lake Elsinore Storm. May 24, 2016 San Diego Padres activated RHP Andrew Cashner from the 15-day disabled list. August 23, 2014 San Diego Padres activated RHP Andrew Cashner from the 15-day disabled list. August 11, 2014 San Diego Padres sent RHP Andrew Cashner on a rehab assignment to El Paso Chihuahuas. August 8, 2014 San Diego Padres sent RHP Andrew Cashner on a rehab assignment to Lake Elsinore Storm. June 7, 2014 San Diego Padres activated RHP Andrew Cashner from the 15-day disabled list. September 1, 2012 San Diego Padres activated RHP Andrew Cashner from the 15-day disabled list. August 21, 2012 sent RHP Andrew Cashner on a rehab assignment to Tucson Padres. June 28, 2012 San Diego Padres recalled Andrew Cashner from San Antonio Missions. June 10, 2012 San Diego Padres optioned Andrew Cashner to San Antonio Missions. January 6, 2012 Chicago Cubs traded RHP Andrew Cashner and LF Kyung-Min Na to San Diego Padres for 1B Anthony Rizzo and RHP Zach Cates. October 2, 2011 RHP Andrew Cashner assigned to Mesa Solar Sox. September 5, 2011 Andrew Cashner roster status changed by Chicago Cubs. September 1, 2011 Tennessee Smokies sent RHP Andrew Cashner on a rehab assignment to Iowa Cubs. 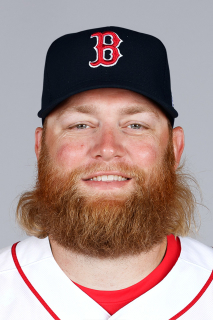 August 23, 2011 Andrew Cashner assigned to Tennessee Smokies. May 29, 2011 Chicago Cubs transferred RHP Andrew Cashner from the 15-day disabled list to the 60-day disabled list. April 8, 2011 Chicago Cubs placed RHP Andrew Cashner on the 15-day disabled list retroactive to April 6, 2011. Right rotator cuff strain. May 31, 2010 Chicago Cubs selected the contract of RHP Andrew Cashner from Iowa Cubs. May 7, 2010 Andrew Cashner assigned to Iowa Cubs from Tennessee Smokies. January 13, 2010 Chicago Cubs invited non-roster RHP Andrew Cashner to spring training. June 30, 2009 Andrew Cashner assigned to Tennessee Smokies from Daytona Cubs. April 25, 2009 Andrew Cashner reinstated to Daytona Cubs.